The Meatless Monday movement has been gaining some serious steam lately. However, Meatless Monday is nothing new—the U.S. Food Administration actually used it as a campaign, along with Wheatless Wednesdays, to help reduce consumption of key staples during World War I. Meatless Monday was revived when health advocate Sid Lerner, along with the Johns Hopkins Bloomberg School of Public Health, decided to address the issue of preventable illnesses associated with excessive meat consumption. Since its launch in 2003, the Meatless Monday movement has turned global with millions of participating individuals, hospitals, schools, worksites and restaurants. One added benefit to reducing meat consumption is that it’s often easy on the wallet. With meat and fish prices skyrocketing as of late, turning to more plant-based meals will inevitably help your family budget in addition to your health. Below are my five favorite Meatless Monday recipes straight from my own kitchen. Remember to get the kids involved, helping them find their comfort level through the cooking process! 1. Set a dutch oven over medium-low heat. 2. Add the olive oil, onion and garlic to melt down a bit – approximately 3-5 minutes. 3. Using a spoon, scoop the roasted butternut squash from its skin and add to the onions and garlic. 4. Use an immersion blender to add the cumin, paprika, salt and pepper. 5. Slowly, very slowly add the vegetable broth, stirring through until you’ve found the perfect taste and texture for you. 6. Using a wooden spoon, stir in the black beans. 7. Scoop into a serving dish. Enjoy warm or at room temperature. 1. 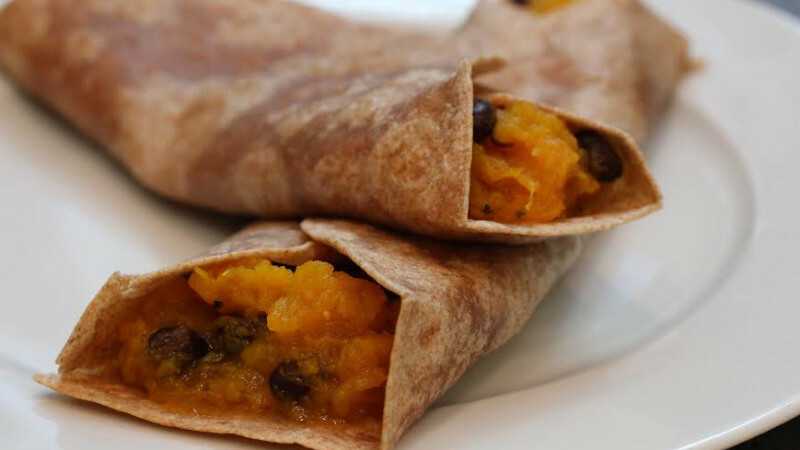 Wrap the tortillas in tin foil and place them in a 250-degree toaster oven while you prep the other ingredients. 2. Take 10 minutes to prep each ingredient above and place into individual bowls with serving spoons. 3. Place all the ingredients on your dining table, give the little ones their own tortillas, and let them build their own burritos. 1. 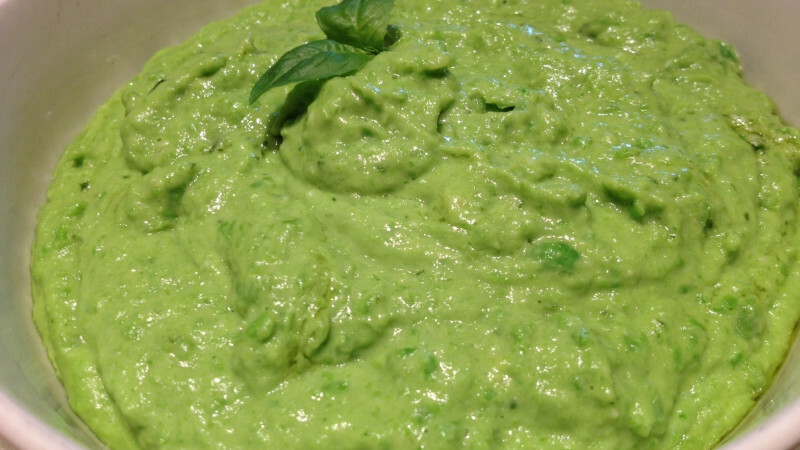 Place the peas, basil, balsamic vinaigrette, pepper, salt and lemon juice in a food processor or blender. 2. Blend all ingredients while slowly adding the extra-virgin olive oil to emulsify. 3. Using two wooden spoons, scoop over pasta and roll to cover. 1. Add all ingredients (except the fresh herbs and cheese) to a medium saucepan and bring to a low boil. 2. Reduce heat and let simmer 5-10 minutes. Allow soup to chill in the refrigerator for at least one hour. 3. Pour into soup bowls and garnish with the fresh herbs and cheese. 1. Preheat oven to 400 degrees, and line a baking sheet with parchment paper. 2. Place the quick oats and sunflower seeds in a food processor. Blend until the mixture resembles bread crumbs or dust. Remove 1/2 cup of the mixture and place to the side (this will be used for coating the meatballs later). 3. Add 1 1/2 cup of lentils (save the 1/3 cup for later), quinoa, amaranth, carrots, onion, garlic, thyme, oregano, paprika, maple syrup, salt and pepper to the oat and sunflower seed mixture in the food processor. Blend until thoroughly combined and pour mixture into a large bowl. 4. One at a time, form round balls of the mixture and roll in the remaining oat and sunflower seed mixture to coat the outside. Place on the baking sheet. When all of the mixture is used, place the sheet in the oven on the top rack (in the top third of your oven). Bake 15 minutes, turn meatballs and bake 15 minutes more. Remove from oven. 5. While the meatballs are baking, warm marinara sauce in a medium saucepan. Add the remaining 1/3 lentils and season. 7. Mix the noodles into the pasta sauce and plate. 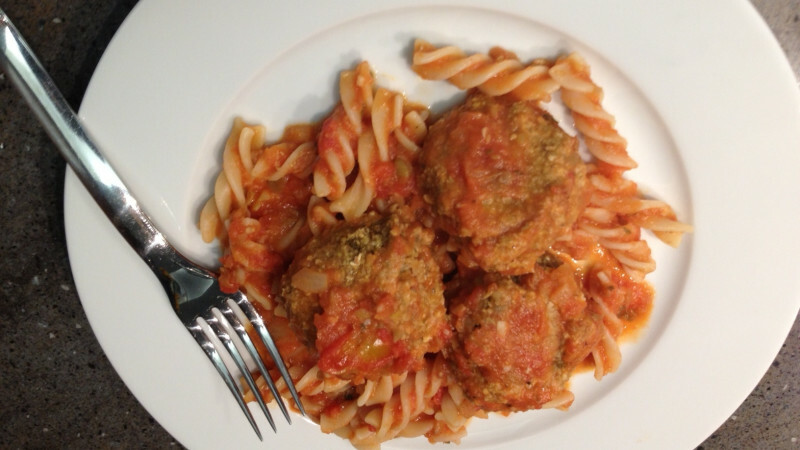 Roll the meatballs in the pasta sauce and plate on top of the noodles. Add cheese or fresh herbs if desired, and serve warm.